This category contains objective reviews about notebooks / laptops, smartphones, and tablets tested by Notebookcheck. You can also access our latest reviews as an RSS feed here. Pocket cinema. Sony is trying to break new ground in the smartphone market with new Xperia devices. The Xperia 10 is the company’s latest attempt to crack the midrange sector, and it has equipped the smartphone with a Snapdragon 630 SoC and a 6-inch display with a 21:9 aspect ratio. The latter allows the device to keep its footprint to a minimum and still have a large display. Read on in this detailed review to see how the Xperia 10 performs in our tests and how it shapes up against its midrange competitors. Screen sin An affordable office laptop that packs the latest Intel Whiskey Lake CPU, 8 GB of RAM along with a large NVMe SSD? That would sound like a bargain if it were not for a big caveat that might be a deal breaker for many potential buyers. Sony's next move. With its current smartphone designs, this manufacturer from the far east has finally managed to take into account what customers actually want, without having to abandon their own individuality. Read on for our review to find out how the Xperia 10 Plus, with its 21:9 ratio display, fares when compared to the competition. Alienware 17 lite. 23 percent thinner, 37 percent smaller, and 40 percent lighter. The Alienware m17 addresses all the size and weight complaints of the original Alienware 17 series albeit at the cost of some auxiliary features like the backlit trackpad, per-key RGB lighting, additional ports. A lot of battery for little money. The M series from Samsung shall bring premium features to the middle class at an entry-level price - originally only in India, but now also officially here. In the review of the Samsung Galaxy M20 we checked how the model with the huge battery performs. An entry-level Sony. The Xperia L3 carries over some of the characteristics of its predecessors while also coming into its own with its more modern design. For about 200 Euros (~$225), buyers of the slim smartphone in the 2:1 format also receive a dual-camera system as well as the option to use a microSD and two SIM cards simultaneously. We evaluate in our test what else the Sony Xperia L3 can offer. Pricey, but fast! Both the GeForce RTX 2080 and the GeForce RTX 2070 have the same amount of VRAM. However, the RTX 2080 offers somewhat more performance than the RTX 2070. We have run a bevy of benchmarks using the Turing-based GPU from MSI to assess its performance. Continue reading our review to find out whether or not the MSI RTX 2080 Gaming X Trio is worth buying. Big, good and affordable. The Y7 2019 retails for only 199 Euros (~US$224), but Huawei has still managed to cram in a 6.26-inch display, dual rear-facing cameras and a 4,000-mAh battery among its other impressive features. Read on to find out whether the device’s impressive specs on paper can combine to create a strong entry-level smartphone and how it fares against its competitors. A low-cost office laptop. Lenovo's 15.6-inch laptop has a Stoney Ridge APU, an SSD and 8 GB of RAM on board. About 430 Euros (~$485) has to be spent on the computer. The screen and the battery life are the biggest weaknesses of the laptop. One-handed go. The Cubot J3 is a tiny smartphone by modern standards and can easily be used with one hand. However, this is where things start to fall down, as we shall explain in this review. Read on to find out how this small budget smartphone fares against its competitors and whether it has more to offer than just its diminutive stature. Good display, but far too slow. The 11.6-inch Ematic offers a lot on paper, but it doesn't have the speed to keep up with even the most simplest of tasks like browsing, 1080p streaming, or even word processing. You're better off investing that $200 elsewhere. Unremarkable. The VivoBook Flip 14 comes with a Core i3 processor, dual-channel-enabled RAM and an SSD. The IPS touchscreen can be used not only with the fingers but also with the Asus Pen, which is sold separately. A grand for a gram. The Gram 14 is a few hundred grams lighter than the XPS 13 while having a larger 14-inch display. In fact, it's one of the lightest Ultrabooks in its size class with an Intel Core U-series CPU. So, what's the catch? Dwarf galaxy - Samsung has priced the smaller version of the top-tier S10 models more attractively than the S10+. In addition to its smaller display comes a lower capacity battery, a single front-facing camera along with less internal storage. Likewise, there is no option for a ceramic back as there is with the S10+. Read on to find out how the Galaxy S10 compares against its Plus namesake and how it stands up against other modern flagships. Update: Additional battery life tests added. Cheap and cheerful. The smallest new flagship from Samsung should appeal to people for whom spending almost €1,000 (~$1,125) on a smartphone is abhorrent. The S10e has many of the features that its more expensive siblings do, but Samsung has made some compromises to keep the costs down. Read on to find out how the S10e performs in our tests and whether it offers better value for money than the Galaxy S10 or S10+. Imbalanced. As a somewhat smaller player, Fujitsu is facing an uphill battle in the mobile workstation market. Can Fujitsu establish its Celsius H780 as a credible competitor against the likes of Dell, HP and Lenovo? That may be difficult, since the Fujitsu Celsius H780 revealed plenty of weaknesses in our comprehensive review. Four cores without a fan. Asus packs the energy-saving Intel Pentium Silver N500 quad-core processor into a small 11.6-inch laptop. In addition, there are four GB of RAM and a usable battery, which make the device a small and affordable companion for everyday life. In our review we clarify what users may expect from the small laptop with a price tag of less than 350 Euros (~$392). Browsing at 5 frames per second. It's got the features of a regular Android tablet, but it doesn't have the speed for a smooth experience. The EeWrite E-Pad is best as an e-reader with only the occasional light web browsing. Quiet, fast and colourful! The GeForce RTX 2070 offers more power than the base model RTX 2060. With 8GB of GDDR6 VRAM, the GeForce RTX 2070 is equipped with just as much VRAM as the higher model RTX 2080. MSI has furnished us with a test sample which has a significantly higher TDP rating than the Nvidia reference model - read on for our review with numerous benchmarks to find out where the MSI RTX 2070 Gaming Z 8G sits in the rankings, and how well it performs in games. The entry point to the RTX world! The Nvidia GeForce RTX 2060 is a budget RTX GPU that includes such features as Ray tracing and DLSS. We received a sample GPU from our partner MSI. This graphics card uses MSI’s proprietary board design. We put the MSI RTX GPU through its paces by running numerous benchmarks and video games with it. You can learn how well it did by reading our review. Is the front-facing camera a thing of the past? The highlight of the Vivo NEX Dual is its two displays. In addition to the traditional screen on the front, the NEX Dual has another AMOLED panel on the back. The latter means that you can take selfies with what would typically be rear-facing cameras without the need for dedicated front-facing sensors or an intrusive notch. Read on to find out how well this concept works and how the NEX Dual compares against other flagship smartphones. You snooze, you lose. Smartwatches are experiencing an upsurge these days. This is primarily thanks to the increasing crowd of low-priced alternatives to Apple Watch. Already in the price range of around 100 Euros (~$112) one can find devices offering plenty of features for the money. The Amazfit Verge is such a candidate and we had a closer look at it. Compact gamer. Thanks to its Core i7-8750H CPU and its GeForce RTX 2070 Max-Q GPU all games should run smoothly on the Neo's matte 15.6-inch display. Other highlights include a mechanical keyboard, a fast SSD, and a 144 Hz panel. In return, the notebook lacks modern connectivity features such as Thunderbolt 3 and USB 3.1 Gen 2. Full GPU power? MSI also offers its slim GE75 Raider with the high-end GeForce RTX 2080 and does not use the Max-Q version. We check the performance and see if the upgrade is worth the money. A bright display, but not a dazzler of a device. For years, LG has been releasing its flagship smartphones under its G-series branding. The South Korean company is now filling out the series with midrange devices like the G7 Fit, which is the focus of our review. The device is not aimed at fitness fanatics either but rather at buyers who want a stylish smartphone with some of the features from flagship devices without having to spend so much money. Read on to find out how well this approach works and how the G7 Fit fares against its competitors. Recommended. If you are looking for a simple and relatively compact gaming notebook, then the Schenker XMG Neo 17 may be the laptop for you. The 17.3-inch laptop scores highly for its powerful hardware, its 144 Hz panel and its optomechanical keyboard. However, can the Neo 17 compete with other large gaming laptops on more than just specifications? Well endowed. The well-equipped Aero 15-Y9 allows (almost) all games to be played smoothly on its matte 4K screen. However, Gigabyte has chosen to equip the laptop with only the Max-Q variant of the GeForce 2080. As a result, it isn't able to offer much more gaming performance above the Aero-15 models with RTX 2070 Max-Q GPUs. Same procedure as last year. Something that worked in 2018 does not have to be wrong in 2019 – this is something that Lenovo might have thought when planning the announcement of the ThinkPad E590. The new Lenovo ThinkPad is pretty much the same machine as the older E580 with a new CPU. Is the ThinkPad E590 still a sensible choice for an office laptop? Tough but thin. Rugged Notebooks aren't known for their svelte profiles, but the Dell Latitude 5420 Rugged tries to trim things down while maintaining the durability of the Latitude Rugged line. While there are some sacrifices compared to other rugged laptops, the Latitude 5420 Rugged is an overall convincing machine. Business all-rounder? We have covered several HP ProBook 400 series laptops recently, including the 440 G6 and 430 G6. Now it is the turn of the ProBook 450 G6, the 15-inch version of HP's entry-level business-laptop range. The company has equipped our test device with an Intel Core i7 processor and an Nvidia GeForce MX130 GPU that promises to be a good all-round package, at least on paper. Read on to find out whether the ProBook 450 G6 improves upon its predecessor and if it can challenge other established 15.6-inch business laptops. Onwards and upwards. So far, The Division 2 has enjoyed a significantly better reception from the press and gamer community than its predecessor from 2016. Read on in our benchmark check to see how it fares it terms of hunger for system requirements. Quieter, Sleeker… Better? Lenovo is back in the 15” gaming laptop fray with their Legion Y740—nearly identical to the previous Y730, but now packing an i7-8750H and an RTX 2070 Max-Q GPU alongside other improvements. At a price point of just around $1990 USD, its performance might surprise you. Ray-tracing for your Ultrabook. Gigabyte has outfitted its super-small external graphics dock with a mini GeForce RTX 2070 graphics card compatible with most Ultrabooks. Naturally, we run every benchmark we could to see how the Aorus eGPU solution compares against a traditional gaming laptop. The results are more variable than we had initially anticipated. A drawing board with Windows 10. The MobileStudio Pro is part drawing tablet and part Windows PC. Wacom may have equipped the device with an outdated Skylake dual-core processor, but read on to find out how this tablet fares in 2019. Now with a standard webcam. What benefits does the Core i7 SKU offer over the Core i5 SKU? We benchmark the most expensive XPS 13 9380 configuration and compare it to the less costly Core i5 SKU to show all the differences users can expect. Update: 5 hours more with FHD. Very low price. $150 USD can get you a pretty decent Android tablet these days. The Alldocube M8 gets the job done while offering optional 4G LTE for compatible markets. Quo Vadis. The Chinese smartphone Xiaomi Redmi Note 7 is now - due to new marketing strategies of Xiaomi - just called Redmi Note 7. It is hard to categorize, given that it has the highest camera resolution currently available on a smartphone and a relatively weak Snapdragon 660. We tested the fist official smartphone of the sub-brand Redmi in order to uncover its true potential. A cheaper EliteBook 830 clone. HP has updated its ProBook series for 2019 with a new design that looks much more like its EliteBook series than past ProBooks. Can the HP ProBook 430 G6, the smallest model in this series, compete against major competitors like the Lenovo ThinkPad L390? Read on to find out in this detailed review. Is it a binGo? Xiaomi's first smartphone with Android Go is here, the Redmi Go. The expectations towards the 80-Euro (~$91) smartphone are high, since the company has so far succeeded in offering great performance for a good price over and over again. Does this also work in the absolutely cheapest price segment? Through the roof. In a very short time the free-to-play game Apex Legends has attracted millions of players - a good reason for us to have a look at the first-person shooter and put its system requirements under the magnifying glass. Mimimi? Xiaomi's 2018 Mi 8 flagship smartphone is far from outdated., and it still has a lot to offer at a very low price. Time to find out how well it compares to current premium smartphones. Six cores with stamina. The new HP Spectre x360 is an all-rounder that gets most things right. The convertible scores highly for its powerful hardware, backlit keyboard, two Thunderbolt 3 ports, good battery life and its 2 TB SSD. The touchscreen supports the HP Tilt Pen too, which adds more functionality than many 15-inch convertibles have. Both visual and technical improvements. HP has presented its 14-inch office notebook with a new case and the most up-to-date Intel processor available. Some of its predecessor's weaknesses have clearly been corrected, but does this mean that the current ProBook 440 G6 is better than the last? Gaming desktop in disguise. The 17.3-inch Sky X7C trades performance-per-Watt for full-on raw performance. While the Core i9-9900K is significantly faster than any 45 W Intel H-class equivalent, the performance delta between RTX 2080 and RTX 2080 Max-Q is comparatively small. An emotional rollercoaster. While Anthem has been criticised for its content and story, the first-person shooter has triumphant graphics. Read on to find out the system requirements for BioWare’s latest shooter along with how it performs on various laptop and desktop GPUs. Small and portable. The Lenovo IdeaPad S530 shows once again how compact and mobile a notebook can be. Because of this, users will have to deal with a limited selection of ports. However, those who are not bothered by the lack of ports will be well served by the S530. Read our review to learn what else buyers can expect from the small 13-inch laptop. Sand in the gears. Nearly four years after Dirt Rally and two years after Dirt 4, Codemasters has released Dirt Rally 2.0 to the delight of racing fans, or at least those who are uninterested by Formula 1. Read on to find out how well Codemasters’ latest rally game runs on various laptop and desktop GPUs. Lady in Red. Schenker continues with the tried and tested concept of configurable barebones and adds some color into play this time. Staying away from the ever so gray cases, the Slim 15 RED Edition with a Whiskey Lake CPU, Samsung SSD and 16 GB of RAM is also promising. In our review, we'll clarify what users can expect as well as which configuration options are available. Keep your charger close by. Dell's latest 13-inch laptop looks sleek with its slim case, while the upgrade to Whiskey-Lake processors should deliver improved performance and low power consumption compared to its Kaby Lake R powered predecessor. The 7380 has an NVMe SSD too, along with dual-channel RAM, an IPS 1080p screen. However, Dell continues to equip its Inspiron 13 7000 series with small batteries. Read on to find out how the Inspiron 13 7380 performs in our tests and how it stands up to its competitors. No half-measures. That was probably the motto at Schenker when the company equipped the over 4,000 Euros (~$4,485) XMG Ultra 17 with an Nvidia RTX 2080 GPU, an Intel Core i9-9900K processor and 64 GB of RAM. Read on to find out whether this 4K beast can live up to expectations and how the Clevo case handles such a powerful GPU. Longer, stronger, superior. Much like how the Asus ROG GL704 is a major update over the GL703, the MSI GE75 is a major update over the GE73. This $2200 mid-range gaming laptop skips the Max-Q series entirely for full-power GeForce RTX graphics up to the RTX 2080. Demanding even without Raytracing. Metro Exodus is the next game to support Raytracing after Battlefield V. Read on to find out why this first-person shooter needs a powerful GPU even at moderate settings. New setting, old tech. While the story of Far Cry New Dawn is set in a different time, the look of the game is still no different. In our benchmark analysis, we examine what kind of GPU horsepower you need to achieve playable frame rates at certain resolutions and on certain settings. 10-inch budget tablet. TrekStor focuses on the budget sector of the market with devices with performance that is catered to specific usage scenarios. With the Surftab B10, you get a tablet that is suitable for web-surfing but not much more. In our test, we look into what potential purchasers can expect from the TrekStor Surftab B10. An outdoor companion. The Crosscall Trekker-X4 presents itself with images of people being outdoors, doing sports and simply enjoying life. With a large array of available accessories, the device is supposed to easily replace an expensive action camera. Find out in our review whether the phone keeps its promise in terms of stabilized videos, slow-motion features and editing software. Maintainable high-end performer. Schenker's XMG Ultra 15 features powerful hardware capable of running all current games smoothly. In addition, it comes with extensive upgrade and maintenance options - including the possibility to swap both the CPU and GPU. A cheap import. The Chinese company Meizu has sent the X8 to the races packed with powerful hardware at an affordable price. Its Snapdragon 710 SoC and Adreno 616 GPU perform well in synthetic benchmarks, while its 4 GB RAM should ensure smooth system performance. Read on to find out what else the Meizu X8 has to offer and whether it can challenge its more established Chinese counterparts. A big and disappointing beast. The TrekStor Surftab Theatre L15 is a giant Android tablet. The device has a 15.6-inch display, stereo speakers and numerous connections, so nothing should stand in its way of being a capable multimedia tablet. Read on to find out how well the Theatre L15 performs in our tests and how it fares against its competitors. Colorful AR. Samsung's J6 Plus is an entry-level phone for for those with moderate expectations. Quality does not suffer, though, and the device is more than fast enough for everyday applications. Let us find out what we can expect from a smartphone for a little under $200 in early 2019. Cheapest laptop with RTX 2080 graphics. A mid-range laptop equipped with a high-end GPU. The Lenovo Legion Y740 is just as powerful as some of the popular heavy hitters in the enthusiast gaming notebook market even if it doesn't quite look or feel the part. It just runs and runs and runs. On paper, the Motorola Moto G7 Power is all about battery life. Motorola promises up to 60 hours of battery life from a single charge, but the device shares many traits with its G7 siblings like its glass back and Snapdragon 632 SoC. Read on to find out how the latest Moto G7 model to enter our offices fares in our tests and whether it lives up to expectations. Thin and powerful. Asus released the 17-inch version of its high-end gaming laptop known as the GX531 shortly after Nvidia launched its Turing-based GPUs. Despite its slimness, the ROG Zephyrus S GX701 is extremely capable and is supposed to strike fear into the hearts of the competitors. Read our review to find out if it succeeds at this. It slides! The Z5 Pro is Lenovo's interpretation of a slider smartphone and the manufacturer's response to the Xiaomi Mi Mix 3 and Honor Magic 2. Unlike these two competitors, Lenovo has positioned its Z5 Pro in the mid-range price segment. Find out in our detailed review whether importing this Lenovo phone is a good idea despite one large faux pas. Powerful, yet affordable. Motorola has released its G7 series and now it is time for us to test the Moto G7 Play, a budget smartphone that incorporates a Qualcomm Snapdragon 632 SoC, 2 GB of RAM, 32 GB of internal storage and a 5.7-inch IPS display. The G7 Plus scored highly in our recent review, but how it does its considerably cheaper sibling compare? Read on to find out how the Moto G7 Play performs in our tests and how it fares against other entry-level smartphones. Galactic - 10 years of Samsung Galaxy S. The S10+ is just one of the five smartphones that the South Korean manufacturer announced at its Galaxy UNPACKED event, but it is currently the largest Galaxy S10 model available to pre-order. The S10+ has a large, almost borderless Dynamic AMOLED display that has a surface that is interrupted only by the punch-hole that houses the front-facing cameras. The new flagship is powered by a faster SoC, has more and better cameras, and it comes with up to 1 TB of internal storage. Read on to find out whether Samsung has done enough to create a smartphone worth of celebrating the anniversary of the Galaxy S series. Addendum: Samsung has released an update that improves camera stability. Additional display tests added too. Sharp competition. You do not always need to spend $800 to get a smartphone that can take good photos. That is what Motorola claims with the Moto G7 Plus at least, which costs around €300 (~$339). The G7 Plus boasts an optically stabilised 16 MP camera and intelligent software features too. Robust and with five cameras - The LG V40 ThinQ has finally arrived in Germany after being announced over three months ago. The V40 is an evolution of its predecessor, with LG promising to have particularly improved the display and the cameras. Read on to find out what distinguishes the LG V40 ThinQ from other flagships and how it performs in our tests. All in One. Lenovo sells not only business laptops from its ThinkPad series but also desktop PCs from its ThinkCentre product line. The Lenovo ThinkCentre M920z is an All-in-One PC. In this review, we examine what users can expect from this 1300-Euro (~$1474) device. Ticking the boxes. In terms of design, Umidigi follows in the footsteps of the established smartphone giants. With its 'waterdrop' notch, and twilight colour scheme, the Umidigi One Max ticks all the modern smartphone boxes, but is not afraid to go its own way with a fingerprint sensor on the side. In this article we will explain what potential purchasers can expect of this affordable smartphone from China. Compact black typewriter. Ultrathin ThinkPads like the X1 Carbon or its bigger multimedia cousin ThinkPad X1 Extreme offer an extremely high quality for an equally high price. The ThinkPad L390, a compact 13.3-inch laptop, proves that a more affordable device can still deliver most of the desired ThinkPad qualities as well. A powerful and surprisingly compact package. ASUS is one of the first manufacturers to update its gaming laptops with Nvidia RTX GPUs. The GL704 is one such model and is one of the most compact 17-inch gaming laptops on the market. Read on to see what, if any, performance boost the RTX 2070 brings and how it affects cooling. Long-lasting laptop with gaming power. The 17.3-inch Asus TUF Gaming FX705GE can run all the latest games smoothly at 1080p. The long battery life proves to be a pleasant surprise. However, the notebook does not offer a lot of ports. Featherweight Companion. Lenovo’s IdeaPad 730S design shrinks the popular ultraportable even further, but thanks to a quad-core Core i5-8265U, 8 GB RAM, and NVMe SSD, it promises blazing general performance nonetheless. At $870, how does it fare in what has become a deeply competitive market? Smart and stylish for less than €100 (~$113)? The OUKITEL U25 Pro is an affordable entry-level smartphone, which should appeal to those who are looking for a stylish device on a budget. The U25 Pro has more up its sleeve than its looks though, especially with its 1080p display. Read on to find out how the device performs in our tests and how it fares against its competitors. Novel idea, poor execution. With the Watch W7, LG has tried to strike a balance between the functionality of a traditional watch and the technology found in most smartwatches. While this is an interesting concept, its implementation is lacking. Professional high-end gamer. Thanks to a hexa-core processor and GeForce RTX 2080 GPU, the G703GX brings all the current games smoothly to the matte 144-Hz IPS screen. We also like the rest of the equipment: an NVMe SSD, SSHD, 32 GB of RAM, and Thunderbolt 3. If needed, you could still upgrade the working memory and storage media. A jump ahead of its class. Compared to its predecessor, the Motorola Moto G7 reaches new heights with more performance and more storage. The price remains the same, which makes Motorola's new mid-range smartphone very attractive. Better than the Spectre 13. The latest EliteBook carries almost everything you want from an Ultrabook: tablet mode, super-bright display, 4G LTE, Thunderbolt 3, NFC, crisp keyboard, narrow bezels, long battery life... the list goes on and on. Just be ready to pay a hefty price when fully configured. A sub-€1,000 (~ US$1,130) ThinkPad Yoga! Yes, you read correctly. The new 13-inch convertible is available for well below €1,000 (~ US$1,130). Lenovo has not compromised on traditional ThinkPad features to achieve this affordable price point though. Read on to find out how the L390 Yoga and its Whiskey Lake processor perform in our tests and its competitors. Svelte marathon runner. The Nokia 3.1 Plus claims several days of battery life while at the same time offering a fast and svelte Android One experience on decent hardware. Find out in our review what to expect from the Nokia 3.1 Plus. RTX on a budget. Even the slowest GeForce RTX 2060 laptop can be as fast as a GTX 1070 Max-Q. MSI's entry-level RTX offering can game almost as well as its high-end GE or GT series at the cost of auxiliary features and connectivity options. Strong piece - The Huawei Mate 20 Pro’s spec sheet is littered with flagship-level hardware, including the new Kirin 980 SoC, the currently fastest LTE modem in a consumer smartphone, reverse wireless charging and a fingerprint sensor underneath its display. This review will be putting all this new hardware and more through its paces to determine whether the Mate 20 Pro’s technical prowess translates into real-world performance. 999 grams. Acer has created a 15.6-inch notebook that is light as a feather and features up-to-date technology: a Whiskey Lake processor, an NVMe SSD and (dual-channel) DDR4 RAM. Of course these features don't come cheap: The device is available for around $1400. Compact and powerful. Thanks to Intel’s Core i7-8565U and Nvidia’s GTX 1050 Max-Q, the Asus ZenBook 15 packs a lot of performance in a very slim chassis. With a fast SSD and 16 GB of RAM, the Asus notebook does not leave anything to be desired. Read our review to find out if this is truly so. Clear view - The Honor View 20 is more than just a cheaper Huawei clone. The View 20 is the first smartphone to feature a 48 MP rear-facing camera and is one of the first with a punch-hole display. Read on to find out how the View 20 fares against its Kirin 980-powered counterparts and whether it can keep pace with other modern flagships too. Two are better than one. The Honor 10 Lite looks almost exactly like the Huawei P Smart 2019. There are hardly any differences in the specifications either, and even the price is the same. We clarify in our review whether the only improvement users of the Honor 10 Lite can really expect is a better selfie camera. An XXL workstation. Fujitsu has updated its Celsius workstation to Intel Coffee Lake processors. The Celsius H980 also includes an NVIDIA Quadro P3200 GPU. Read on to find out whether the Japanese manufacturer has fixed the cooling problems that plagued the Celsius H970 and how its successor performs in our tests. Everything but playful. In recent years, Motorola's E-series smartphones were usually less than or around $150 and more often than not well worth their money. Let's find out whether or not this is still the case with the company's latest effort, the Motorola E5 Play. Better with Whiskey? The webcam is back at the top. But is that all for the 2019 XPS 13 from Dell? Not at all, because the dual-fan solution ensures good – although not stable – performance utilization we rarely see among such slim laptops. Update: Review is complete. Gigantic convertible meets Whiskey Lake! The large 17-inch Dell convertible has received a CPU upgrade. In addition to the internal update, the case was also completely redesigned. Find out in this review whether these changes make sense and whether the new Whiskey-Lake-U CPU can ensure a higher performance. Even smarter? Even though the Huawei P Smart (2019) is already in stores, the Chinese manufacturer has just released the Plus version of its predecessor at what could prove to be a bargain price. The Plus model has improved internals and a larger screen, while it bears a greater resemblance to its successor than its stablemate. Read on to find out how the P Smart Plus performs in our tests and how it compares against its siblings. All-rounder with flaws. Acer’s 15.6-inch multimedia notebook is an all-rounder with very decent hardware that can handle all modern games at 1080p. Despite its price tag of 1200 Euros (~$1374), the device is not free from flaws. A robust and well-equipped outdoor smartphone. The Ulefone Armor 6 is a rugged, midrange smartphone that tries to stand out from the crowd with its comprehensive features. Read on to find out whether this kitchen sink approach works and how the Armor 6 fares in our tests. Linux laptop. The InfinityBook Pro 14 features a slim chassis and a decent list of features. You can adjust the configuration, including an optional LTE modem. The recommended operating system is Linux – but it is not required. All of this comes at a price: Even the least expensive model costs 899 Euros (~$1028). A modern Swift 3! With an Intel Core i5-8250U processor and a fast SSD, the Acer Swift 3 SF313 is well-equipped for most tasks that could be thrown at it. Thanks to its LTE modem, the 13.3-inch subnotebook is also suitable as a small business companion for work on the go. Acer has not included a dedicated GPU, but this decision benefits battery life. Raytracing is coming. Nvidia has now announced its laptop RTX line almost four months after introducing its desktop GPUs. We have the RTX 2060, RTX 2070 and RTX 2080 in for a performance test and to compare them against Pascal-generation laptop GPUs ahead of their official release. A GPU beast. Don't let its diminutive size fool you — this 3:2 13.0-inch laptop is equipped with a much faster GPU than your typical Ultrabook. Huawei's latest offering is supposed to be a mid-range product, but its unique build and specifications are anything but. IR face unlock for $200. A defining Apple feature can now be found on an Android smartphone for a fraction of the price. Can this budget off-brand device really offer a flagship experience? A budget all-rounder. The Lenovo Tab M10 is a budget tablet that is fun for the whole family. The tablet includes child-friendly features and offers a well-rounded spec sheet for its price. However, the cheaper alternative to the Tab P10 has its work cut out to stake a claim in a saturated and competitive tablet market. Simply good. Xiaomi’s smartphone with the global ROM has finally come to the European market. The Xiaomi Mi 8 Lite is a good and high-quality smartphone that does not burn a hole in your pocket. Read our review to find out what you can expect from this 270-Euro (~$307) device. If money is no object NVIDIA announced the TITAN RTX in December last year, and now we have it in for review. Read on to find out how this monster of a Desktop GPU performs in our tests and whether it can set itself apart from NVIDIA’s other GPUs. A letdown. Dell's new convertible is a bitter disappointment, at least in the configuration we have tested. It is even more frustrating that the device has the potential to be a great laptop, but it has been let down by several vital failings. We urge you read on nonetheless as cheaper models could improve upon the areas in which this laptop disappoints. Affordable Harry. Harry can be had for around $100 and offers a lot of bang for the buck. Wiki's second generation Harry has found its way into our lab - let us find out what it can do. Refresh. Lenovo’s 17.3-inch desktop replacement features a quad-core CPU, Windows 10 Professional and a bright, contrast-rich display with good viewing angles. At the time of this review, the device retails for around 600 Euros ($683). An outdoor mid-ranger with NFC. The Poptel P60 is a midrange smartphone that has been designed for using outdoors. The device has a rugged case and supports plenty of LTE bands for use in countless countries. Read on to find out what else the Poptel smartphone has to offer and how it fares against its competitors. Budget king? Asus announced the budget-oriented ZenFone Max (M2) smartphone in India last month targeting the sub-US$150 user who wants a capable smartphone that gets the basics right. The Max (M2) comes with decent specs and significant improvements over its predecessor, the ZenFone Max (M1). However, does the Max (M2) have what it takes to compete against similar offerings from the likes of Xiaomi, Honor, and Realme? Let's find out in our hands-on review. A Plus for Samsung. About a year has passed since the release of the 970 Evo, and Samsung has now added to its SSD range with the 970 Evo Plus. The South Korean manufacturer promises that the drive will be up to 53% faster thanks to its improved V5 NAND and controller optimisations. Read on to find out whether the company’s claims check out how the Evo 970 Plus performs in our benchmarks. Detached - The Lenovo Tab P10 is more aesthetically pleasing than most Android tablets. Its glass back looks great, and it doubles as a smart screen when connected to the new Lenovo Smart Dock thanks to its integration with Amazon Alexa. However, the device is powered by a lowly Snapdragon 450 SoC, and the dock is only available to purchase as part of a bundle with the tablet, so it is not all smooth sailing. Read on to find out how this midrange tablet fares against its competitors. The best display for the X1 Carbon? We already tested the sixth generation of the ThinkPad X1 Carbon several times, and now we also take a look at a model with the matte WQHD display. Is this possibly the best compromise? It doesn't even have an audio jack. The NuVision looks good, but that's about it. This super-portable and super-cheap subnotebook is dragged down by subpar processor performance, spongy keyboard, a very slow SSD, and the most limited selection of ports we've seen on any laptop. Sparse. Who needs a fingerprint scanner? The Wiko View 2 Go relies on facial recognition and traditional security methods instead. Read on to find out what other compromises Wiko has made to cut costs and how the View 2 Go stands up to other budget smartphones. The best business convertible? Lenovo has completely reworked the ThinkPad X1 Tablet, which now includes a larger touchscreen, two Thunderbolt 3 ports and much faster CPUs. This has the caveat that these faster chips have to be actively cooled now. Is the third generation of the ThinkPad X1 Tablet a solid and complete package, or does it have some significant weaknesses? Plus notch. The Wiko View 2 Plus picks up on many of last year’s smartphone trends and combines them in an affordable package. The View 2 Plus integrates a dual rear-facing camera system and a large battery among other things, but its imposing notch may put off some potential buyers. Samsung AMOLED for cheap. How much tablet can $270 buy you? The Alldocube integrates a fair number of high-end features not normally found on budget models like a fingerprint reader, very thin chassis, and 2560 x 1600 resolution AMOLED touchscreen. This is one of the better tablets available in its price range so long as users can look past the short battery life and inaccurate colors. Truly Mobile. The $940 Lenovo Yoga C630 WOS convertible, powered by the Qualcomm Snapdragon 850 Mobile Compute Platform, promises exceptional battery life, always-connected and always-on flexibility, and brisk performance, all in a super light, passively-cooled design. Can it live up to its promises? Core i5 Pavilion. After reviewing the AMD variant of the HP Pavilion 15, we now have the Intel Core i5 version with an NVIDIA GeForce MX130 GPU in for testing. The design remains the same and is finished to a high quality. Read on to find out what to expect from the Intel variant of the Pavilion 15 and how it compares against its AMD sibling. Fratricide? The Nokia 5.1 Plus not only performs better than the Nokia 5.1 but also better than the Nokia 6.1, despite what Nokia’s number system may have led you to believe. In-house competition or just confusing numbers? And it gets bigger. After much confusion, Huawei announced that it would be releasing the Mate 20 X in Austria and Germany. The giant 7.2-inch phone has now arrived at our offices and is ready to put through its paces. Read on to find out whether this €900 (~$1037) beast is worth the money. Affordable underdog. In the enterprise-laptop market, avoiding Dell, Lenovo or HP is hardly possible, but Acer wants to have a piece of that lucrative market segment as well. The Acer TravelMate X3410 is made to appeal to business customers, but will it be able to win-out over the well-established competition? To find out more, read this in-depth review. Business machine with AMD power! The new design now accommodates an AMD system and is called A285 within the ThinkPad A-series. We check how the 12-inch AMD-powered device can compete with the Intel-based competition. Bad development. HP refreshes the Pavilion x360 convertible with an Intel Core i3 CPU for 700 Euros (~$797). The manufacturer wants to stir up the convertible market with this strategy. We see some potential, but there are some major drawbacks. Flagship features, mainstream price. The Legion Y730 is the higher-end alternative to the Legion Y530 and legion Y7000 with flagship-like features including per-key RGB lighting, Thunderbolt 3, and dedicated Macro keys. It's just too bad that current SKUs are limited to the GeForce GTX 1050 Ti. Unusual. Asus wraps the technology of the Zephyrus S in a thin and compact case. The hardware is able to render every current game smoothly on the matte 144-Hz IPS display. The possibilities to upgrade the device are very limited. Great display, relatively weak connectivity. The new Surface Laptop 2 from Microsoft is a slightly reworked version of the old model with an up-to-date processor. Overall, this creates a well-balanced package. We are particularly happy with the 3:2 screen. Unfortunately, the manufacturer has not improved connectivity. Great value for money While gaming notebooks are becoming more expensive and many manufacturers are outperforming each other with new maximum prices, Medion continues to deliver well-priced laptops. Read on to find out how the Erazer X6805 performs against other budget gaming laptops. RAM stinginess. Acer's 14-inch notebook features an elegant and small case, a Whiskey Lake Core i3 CPU, and decent battery life. While its SSD, its matte IPS display, and its keyboard backlight are state-of-the-art in 2018, the RAM is not: Acer only includes 4 GB. HiValue. The Chuwi HiPad retails for around $200 USD with compelling specifications such as its 1200p touchscreen, deca-core Helio X27 SoC, 3 GB RAM, and Android 8.0 software. Actual performance, however, is still reflective of the super-budget category. Light into the dark! All smartphone manufacturers want you to believe that their smartphone has the best camera. This year, we have chosen to compare the camera capabilities of seven flagship smartphones released in 2018. We will also consider more left-field candidates that have good camera specifications on paper. Read on to find out which 2018 flagship has the best camera for low-light photography. Simple office laptop. Acer's new budget 17.3-inch laptop features an Apollo Lake processor, plenty of storage and a decent keyboard. In short, the Aspire ES 17 ES1-732 is a simple office laptop that is suited for home use. Smaller footprint than the XPS 13. The "ErgoLift" design is a visual delight as it allows for a strong lid with narrow bezels on all four sides of the screen. Nevertheless, some cut corners prevent the system from being a must-have against its competitors. Bigger. Smarter. Sharper. The new smartphone from Huawei, the P Smart 2019, can be described with these three words. The performance has been increased significantly and the smartphone runs the latest version of Android (9.0 Pie). However, in the course of our review, we observed several drawbacks that we also saw in our review of the predecessor. Better display and slow processor. Apple pretty much ignored its MacBook Air for a couple of years and there was much speculation about the end of the series. Now, we get a completely redesigned model including a modern display. Is it an alternative to the more-expensive MacBook Pro 13 for many users, or is it somewhat redundant? Meagre model. Lenovo is trying to make a splash in the compact ultrabook market by giving its laptops a makeover. The company has introduced new branding, the latest Intel CPUs and slimmer cases, but has it done enough to disrupt an already saturated market? Read on to find out whether its first non-convertible Yoga laptop, the Yoga S730-13IWL, or confusingly the 730s-13IWL in North America, can challenge its competitors. 3-in-1 convertible. The new Yoga Book has an E-Ink display instead of a keyboard and can be considered a combination of a laptop, a tablet and an e-reader. On top of that, you can also digitalize text and drawings with this all-rounder. The device is based on its predecessor from 2016 but offers many changes and improvements. For instance, it provides better performance. On the other hand, it has also dropped at least one feature. Is the 2018 Yoga Book worth twice the price of the old version? Find out in our detailed review. Successful upgrade. AMD will not be offering us an entirely new GPU series this year. Instead, AMD has launched another Polaris Refresh GPU: the RX 590, produced in a 12-nm process. This enables significantly higher clock rates compared to the RX 580 but only slight improvements in terms of power consumption. Find out whether the Polaris 30 chip is still worth a try in our review. Old wine in old skins. Hewlett Packard's 10.1-inch convertible comes with an IPS touchscreen, decent battery life, and soundless operation to boot. Its performance is fairly limited - HP opted for an outdated Atom x5 processor. 6-inch bargain. If you are looking for a budget smartphone with a large display, dual SIM and LTE functionality, then you should look no further than the Galaxy J4 Plus (2018). The device is well-designed, offers solid performance, and it is identical, except for a few details, to the more expensive Galaxy J6 Plus. Luxury Linux. The Librem 13 is a privacy-focused Linux laptop from Purism, a boutique Linux OEM. While the device looks beautiful at first glance, software limitations and hardware bugs cripple the laptop and keep us from recommending it. Simply sturdy. The CAT B35 is a robust feature phone that has been designed for use in extreme environments. The device includes a 4G modem, but its apps selection is underwhelming. Read on to find out whether the CAT B35 is good enough for everyday use. The perfect gaming CPU! The Intel Core i7-9700K now must prove itself in our tests, with the Core i9-9900K having shown its worth last month. The Core i7-9700K lacks Hyper-Threading support, which makes it directly comparable to its predecessor, the Core i7-8700K. Read on to find whether the Core i7-9700K has the edge over its older sibling and how the CPU fares against the AMD competition. Makes a lot of wind. The Lenovo Legion Y530 does not waste much time with questions about the design, but delivers a lot of performance for an affordable price instead. After the review of the GTX 1050 Ti SKU, we now have a look at the model with the more powerful GTX 1060. What can users expect from this laptop? An Ultrabook for gamers. The new Blade Stealth proves that not all GeForce MX150 GPUs are created equal. It's the fastest 13.3-inch Ultrabook we've tested with graphics performance just shy of a GTX 960M all in a sleek package the size of a MacBook Pro 13. Well-equipped. BQ aims to pack a lot of features in its low-priced smartphone: Solid hardware, fast-charging and a good camera. It sounds like a pretty good deal, but you should read our review to find out whether it really is one. Mid-range gamer. The Coffee Lake hexa-core processor and the GeForce GTX 1050 Ti graphics card can display all current games smoothly on the matte Full HD IPS display. On top of that, the device offers 8 GB of RAM in dual-channel mode, Intel Optane Memory and a decent keyboard. However, it also has some weaknesses. Recommendable! The AMD Ryzen Threadripper 2920X is the more affordable model of AMD's latest Threadripper generation. At $649 it is priced similarly to Intel's Core i9-9900K. Find out in our extensive review which one of these two is the better deal, and whether or not the "cheap" Threadripper can be a threat for its bigger and more powerful sibling. A pure workhorse! After our closer look at the AMD Ryzen Threadripper 2950X, we have also got our hands on its sibling, the Threadripper 2970WX. The 2970WX has 24 cores and can execute up to 48 threads, which is another eight cores and 16 threads more than the 2950X has. The latter has a 500 MHz higher base clock speed and a 200 MHz higher boost clock speed though, although the 2970WX has a 70 W higher TDP. Read on to find out how the 2970WX compares against other Threadripper APUs and whether it is worth its hefty US$1,299 price tag. Small rose. There are countless compact 13.3-inch laptops on the market. This should come as no surprise, since laptops such as the Dell XPS 13 are ideal companions for day-to-day life. With the Asus VivoBook S13 S330UA, we are testing a new model from Asus that is slightly cheaper than the popular XPS 13 from Dell. Alien on a diet. Alienware's first ultra-thin laptop maintains the spirit of the original Alienware 15 R4 while propelling the series forward into the super-light gaming category. Of course, some sacrifices had to be made when moving to a smaller design, but it's mostly a success especially in terms of Turbo Boost performance and chassis rigidity. The perfect Bokeh. HTC positions the U12 Life as a smartphone with amazing camera effects to suit and satisfy everyone's artistic needs and wishes. In addition, it is also capable of 4K video recording, is supposed to feature a high-performance SoC, and long battery life. Let's find out which claims will hold up to our review and which ones will fall victim to an overly zealous marketing department. Simple but modern. The Toshiba Tecra A50 is a sleekly designed and modern looking 15.6-inch laptop that Toshiba has equipped with modern hardware. Read on to find out for whom the A50 is suited and what performance buyers can expect from this quad-core laptop. Fit for the future. We regularly update our fleet of desktops and laptops to keep up with the latest gaming benchmarks and now is time for us to update the former. This article is dedicated to our latest main testing platform that will serve as the foundation on which we will conduct future benchmark articles of the most recent games. Affordable convertible. The 14-inch Inspiron convertible starts pretty cheap at under $600 USD for both a 1080p touchscreen and a modern Whiskey Lake-U CPU. We go more in-depth on the system to find out what else it may be hiding when compared to the competition. Out of nowhere. At the end of November without any hype in the press, the third installment in the Darksiders series came out. We examine whether it is a good or a bad sign with our performance analysis. Rampage. 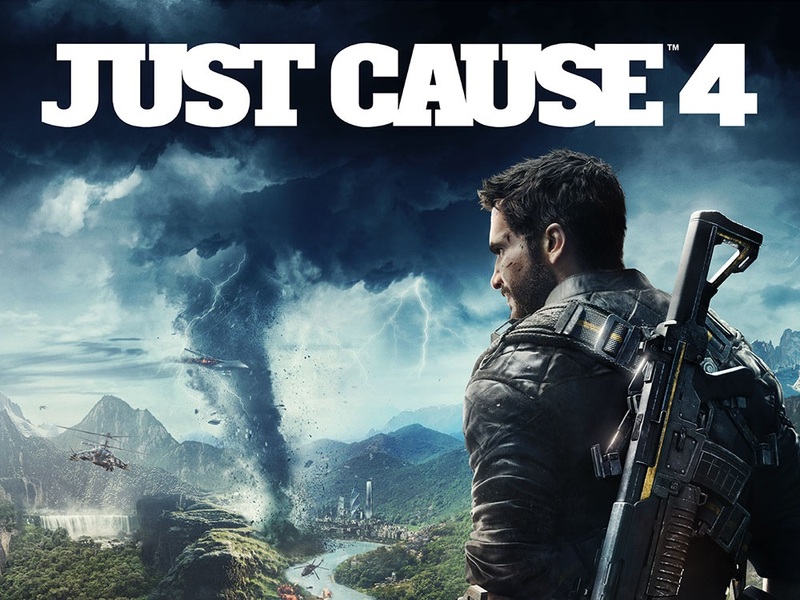 Just Cause 4 is a real adventure playground like its predecessors. Read on in our benchmark article to find out which graphics cards are best for creating chaos. Light Times. Anyone who appreciates a smartphone with a physical keyboard, but does not want to fork out for an expensive device should consider the BlackBerry KEY2 LE. The cheaper version of the KEY2 has decent hardware for its price, but is it a business bargain? Premium Inspiron. The Inspiron 15 7000 2-in-1 Black Edition’s sleek metal construction and attractive display bring the Inspiron machines ever closer to the XPS line. With its Core i7 CPU, GeForce MX150 dedicated graphics, solid-state drive, and UHD screen, can this $1,333 configuration redefine the brand? Core i9-9900K and Quadro P5200 in one laptop. For about $5000+ USD, professional users can get what is essentially a high-end desktop wrapped in a 17.3-inch chassis. Performance is indubitably fast, but not as fast as it could have been in regards to the CPU. Room for improvement. As expected, the 2019 edition of the popular and successful Farming Simulator has stormed the sales charts this winter. Read on to find out how well Farming Simulator 19 runs on different systems and what hardware is required to run the game smoothly at different resolutions and graphics levels. A rare sight. While Intel and Nvidia still call the shots in the high-end segment, AMD is quite well-positioned in affordable laptops. The best example is the Acer Nitro 5 AN515-42 with a Ryzen 7 2700U and Radeon RX 560X, which can be purchased for less than 1000 Euros (~$1132). Do the competitors need to shiver? We will find out! Game On. Razer is getting ready for round two. Following the first real gaming smartphone named simply, Phone, they have introduced the - surprise - Phone 2. Don't be fooled by its lackluster name though: the Phone 2 is everything but boring. Let's take a look at what the brand-new gaming smartphone can do and what its weaknesses are. The sixth iteration... The Redmi 6 is part of Xiaomi's very affordable smartphone series, aiming again to offer a lot of smartphone for little money. However, in the meantime, other manufacturers also offer good affordable smartphones. Our test clarifies whether the Redmi 6 is still a very good deal. Grown-up gamer. A Lenovo Legion laptop with no hint of red? The Y7000 is a more mature step forward that drops the gaudy glossy look of older Lenovo gaming laptops for a smoother and more uniform narrow-bezel design. The end result is a notebook without all the bright or eccentric colors often associated with powerful gaming machines. The affordable 860 model. Samsung has added a new model for the SATA-3 connection to its 860 series. In addition to the Evo and the Pro, now there is also the 860 QVO, which is significantly more affordable than its siblings (in theory). Our test clarifies where you have to lower your sights for the reduced price. Nokia 7.ONE. HMD's Nokia 7.1 is based on Android One, and thus free of unnecessary apps, most commonly referred to as bloatware. The result is supposed to be a minimalistic and fast system, designed to run even more demanding apps. Find out in our review whether or not this turned out to be true, and how the Nokia 7.1 did when compared to its rivals. The best-looking FPS with only minor graphics improvements. Although the engine underpinning Battlefield V has hardly improved from its predecessor, the latest game in the Battlefield series is one of the prettiest PC games around. Read on to find how well Battlefield V runs in our benchmark tests. You will also learn what the system requirements are. Giant Pixel. Now in its third generation of Pixel smartphones, Google wants to tempt potential buyers away from its competitors with exclusive software features. However, affordable prices are a thing of the past as the Pixel 3 XL costs up to $999. Find out in our detailed review whether the Pixel 3 XL is worth the money. Metal Gear Solid. The ZBook Studio is now available in its third iteration – though it may seem a bit odd that this model is named "G5". Apart from the weird naming, the ZBook Studio G5 seems to be a promising piece of hardware with a combination of many desirable features: A large battery, a 4K display and a Unibody chassis – what could go wrong? Timeless leather. HP is putting a new spin on laptop convertibles inspired by antique cameras and wristwatches. The one-of-a-kind leather design is both premium and classic, but its size, weight, and features fall a bit short compared to the sleek and modern metal Ultrabook. Let's ROG Stop Zen! After years of calm, ASUS has blown the mobile gaming world open with its first smartphone. The ROG Phone has more up its sleeve than a fast processor, plenty of RAM and energetic marketing material. ASUS has integrated trigger buttons into the Phone’s frame, a dock connector and included an active cooler in the box. Find out in our detailed review whether the ROG Phone does enough to score top marks. New edition. Amazon has updated its 8-inch Fire HD 8 tablet but kept the price at its low level; the tablet still starts at just $80. Most notable updates: Alexa and wireless charging. Strong and expensive. The release of the third generation of Apple’s huge tablet has coincided with a complete redesign that shares more design cues with the new iPhone XS series than classic iPhones. Apple has equipped its most-expensive tablet with its most-powerful ARM SoC, Face ID, high volume storage options, support for a new Apple Pencil and much more, including a massive mark-up in price. 2 in 1 with an MX150. Acer’s flagship convertible, the Switch 7 Black Edition, offers powerful hardware and an innovative fanless cooling solution. Both the Intel Core i7-8550U and the Nvidia GeForce MX150 are cooled without any fans. You can learn how well this works out in everyday life by reading our review. Stale post-apocalypse. Fallout 76 has been received poorly by critics and players. Bugs, missing NPCs, weak story; the list of shortcomings is seemingly endless. Unfortunately, the game engine will not win many plaudits either, as we will discuss in our benchmark article. Sandbox experience. Just like its 2016 predecessor, Hitman 2 offers very expansive levels, which can be completed in a wide variety of ways. You can learn how well the game performs with the help of our performance analysis. Ready to go. Lenovo is making it real easy for mainstream gamers who just want an affordable pick-up-and-play gaming PC without the hassle. Beginner builders will find a lot to like about the Legion C530 even if it's missing a few common features. Next-gen budget smartphone. With the Redmi 6A, Xiaomi presents the successor of the affordable Redmi 5A, keeping it at the same price while improving the equipment significantly. We evaluate in our review what improvements are waiting for the buyer of the 90-Euro (~$102; starting at $90 in the US) smartphone and how it fares against the competitors. Office or business? The Huawei MateBook D 14 W50F sits between both segments. The stylish case and plentiful security features point towards the laptop being an expensive business laptop. However, Huawei preinstalls Windows 10 Home and has equipped the device with few ports, which aligns the W50F with cheaper office laptops. The real drawback is less to do with the laptop’s classification though. Well-dressed high performer! MSI's Prestige series promises desktop-level performance while maintaining maximum mobility at the same time. We have decided to take a closer look at whether MSI managed to keep its promises. At first glance, the device seems to keep its word, and a hexa-core CPU and GTX 1070 are great for much more than just working. Sharp photos. The Sharp Aquos D10 is attempting to win the hearts of shoppers with its camera that has optical zoom and its almost bezel-free design. The D10 has a Qualcomm Snapdragon 630 SoC and dual 12 & 13 MP PDAF cameras. Read on to find out whether the D10 can perform as good as it looks. Now with Coffee Lake-U and Thunderbolt 3. Intel has refreshed its lineup of NUC mini PCs under the brand new Bean Canyon platform that integrates Iris Plus graphics and a Coffee Lake-U CPU. Results are as expected with CPU performance most similar to the i7-8550U but with greatly improved GPU performance over the UHD Graphics 620. Videos in 4K HDR. The Sony Xperia XZ3 is the company’s latest premium smartphone and one that has numerous features that are designed to enhance camera quality, sound, system performance and make the device easier to use. The XZ3 has a 6-inch OLED display, the likes of which we have seen in many other modern high-end smartphones, but its lack of a notch distinguishes it from its 2018 cohort. Read on to find out how else Sony has attempted to make the XZ3 stand out from the competition in our review. Update: Additional brightness values added with new test device. Too much power? After checking out the Core i5 and Core i7 SKUs, we're now finally ready to benchmark the Core i9 version of the XPS 15 9570. In short, users are better off investing in more storage, RAM, or faster graphics than to plop down an additional $250+ for the Core i9-8950HK. One without frills. For those who are just looking for a mid-range smartphone with pure Android, a nice case, and a large display, Motorola is offering the new Motorola One. You could describe the concept as "concentrating on the essentials." We take a closer look at the Motorola One in our test. Good price-to-performance ratio. The Motorola Moto E5 Plus combines its huge 5000-mAh battery with a low price. Moreover, it also features a large screen and a slick case. Read our review to learn whether the Moto E5 Plus is worth buying.